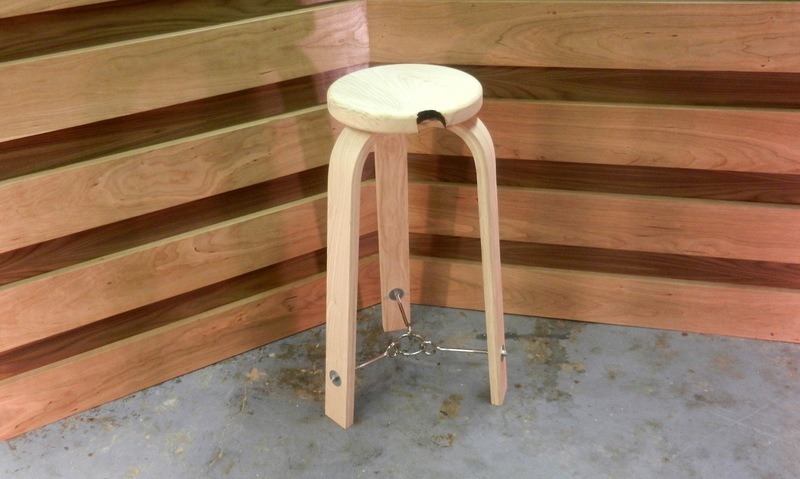 Here is the stool I built for SSBO. It is made from unfinished ash and basic rigging hardware. The dimensions are roughly 12″ x 12″ x 29″. There are 8 hours of labor in this design, less glue drying. Only purchased material was the welded steel ring. There was a shaped walnut seat originally but I felt it was competing with the base. The simple round seat plays nicely with the curves and echoes the shape of the ring. Nice work pulling this together, Chris.